To say that Kate Jones is a magnet for trouble is a bit of an understatement. In Bad Spirits, Kate has traveled to Mexico on vacation, quickly became involved with a local man only to later find out he's a drug lord. Three years later she compounds her mistake by stealing his money only to find out it wasn't his money but a payment to another drug lord. Bad enough she's attempting to escape from a man that refused to allow her to leave, but she's also being tracked by two drug lords and their compatriots. Fortunately Kate runs into the DEA and is able to escape from Mexico only after agreeing to testify. But Kate knows that even though Salazar and Anaya are in prison her life is still in danger so she runs to Alaska. Kate witnesses a murder in the wilds of Alaska in Dead of Winter and also realizes she's been found by either Salazar or Anaya as the murderers were speaking using a Mexican dialect. 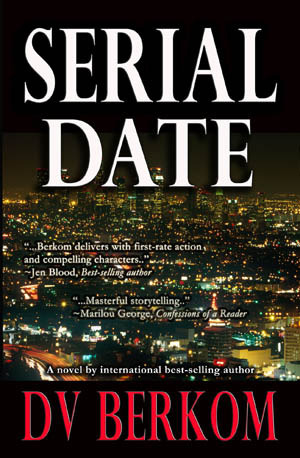 Kate isn't quick to trust the police but she knows she has to report the crime to local authorities. 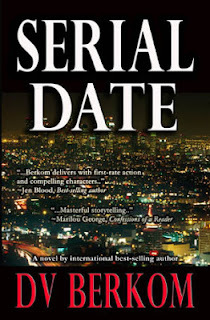 Her report leads to a local deputy, Sam, as a bodyguard. Just when Kate feels she might be able to escape from Alaska, she finds herself in a situation where she must fight not only for her life but for Sam's as well. Kate jumps from the frying pan into the fire when she lands in Hawaii in Death Rites. She quickly becomes embroiled in local thefts and murder when a friend is found badly injured after a burglary. Kate knows this doesn't have anything to do with Mexican drug lords but she quickly finds herself dealing with another set of crazies and their beliefs in ancient prophesies. 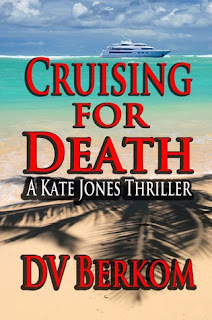 Fast forward a few years and Kate's past has come calling in Touring for Death. Kate is now living and working in Arizona as a tour guide and several of the tourists in one of her tours have been found dead and/or missing. She knows this can't be a coincidence since this happens shortly after her tour vehicle crashes and is found to have been sabotaged. Kate Jones exemplifies how one or two mistakes in our past can haunt us for the rest of our lives. Kate's first mistake was getting involved with a man she knew nothing about and this was compounded by her belief that she could steal from him and get on with her life. Although the scenarios with the drug cartels were believable, I found some of the other scenarios a bit far-fetched especially those in Hawaii. Even though I had difficulties with some of the scenarios, I was quickly intrigued by Kate's life and wondered if she'd ever gain her freedom from the cartels. 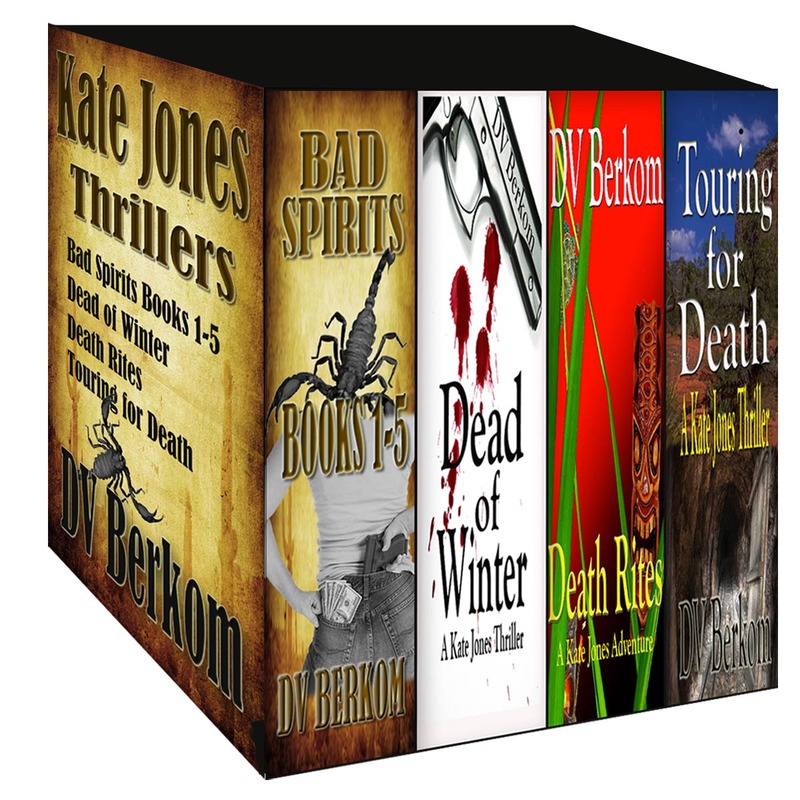 The Kate Jones Thriller Set is a quick read that provides murder, mayhem, and lots of suspense and thrills. Kate Jones doesn't start off as a likeable character but I found myself quickly rooting for her as she jumped from mishap to mishap. Disclaimer: I received a copy of this book for free via Full Moon Bites Blog Tours. I was not paid, required or otherwise obligated to write a positive review. The opinions I have expressed are my own. I am disclosing this in accordance with the Federal Trade Commission's 16 CFR, Part 255: "Guides Concerning the Use of Endorsements and Testimonials in Advertising." Ms. Berkom has graciously offered to giveaway an ebook copy of Cruising for Death (Kate Jones #5) or Serial Date. This giveaway ends on December 17th. To enter, please use the Rafflecopter form found here. 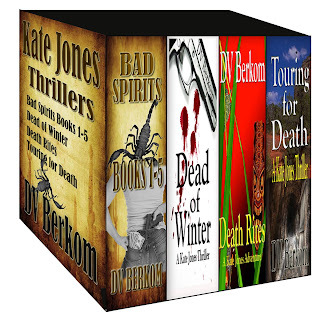 Good morning, Book Diva--thank you so much for reviewing The Kate Jones Thriller Series! I'm glad you enjoyed it. I appreciate the chance to connect with your followers.